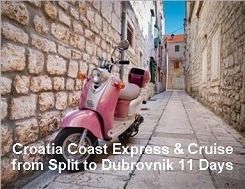 Croatia is the surprise favorite of many travelers. The country has more than 250 days of sun each year.. We begin in famous Dubrovnik, with an excursion to Montenegro, a small country with magnificent landscapes. Another day we explore Mostar in nearby Bosnia-Herzegovina. 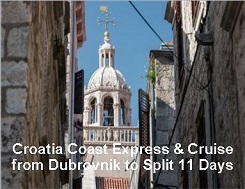 On Day 4, embark on our Dalmatian coastal cruise. 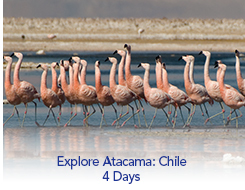 Its 36 guests enjoy fine food, excellent wines, a sun deck and above all the gorgeous landscape. The tour ends in Split.